A lot of people have heard of Whole30 by now. You’ve heard your sister’s-friend’s-mom did it and LOVED it. Most of the time, that’s about the only information people come to me with. A lot of people may have not heard about Whole30 yet, either. So if you fall into either of those two categories and are wondering what is Whole30, I’ll fill you in on the little-not-so-secret awesomeness that makes up this 30 day reset. 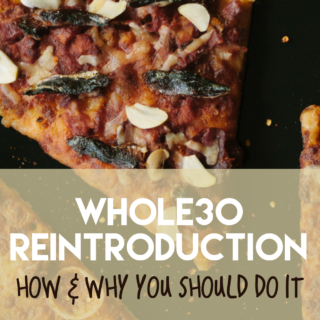 In short: Whole30 is a thirty day reset. A break for your system from all of the processed foods and harmful additives commonly found in the standard American diet. I’m guessing you didn’t come here for the short answer, though. Whole30 is a program designed and heavily researched by two folks who know what they’re talking about. The program asks you to remove grain, dairy, soy, legumes, alcohol and sugar (everything that could be doing harm to your body) from your daily diet for 30 whole days and then slowly and mindfully add them back in. During those 30 days, you’re asked to evaluate how you feel and be conscious of the decisions you make regarding your habits. Critically thinking about this is supposed to help you understand how your everyday food choices and habits affect your mood, energy, digestive health and body overall. With your typical diet (before Whole30) did you have joint pain? Sugar crashes or extreme hunger? Lethargy after meals? Poor quality of sleep? Acne? Digestive issues? Did you swing through the drive-thru more often than you’re willing to admit? Did you head to the vending machine for your daily 2pm Diet Coke and snickers bar? 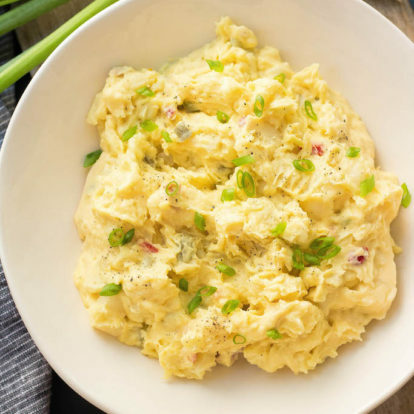 Did you have cravings for random foods? Did you eat just because you were bored, sad, anxious? Did you finish half a bag of chips mindlessly sitting on the couch watching your Thursday night shows? Did you eat at family celebrations simply because there was food there even if you weren’t all that hungry? Whole30 is intended to help you understand – and possibly correct – all of that. So, what’s not allowed? What can I eat? The science behind it is legit and there’s thousands of testimonials to back that up further. People who have completed the Whole30 have said that it’s reduced their autoimmune disease symptoms, cured their lower back pain, resolved their need for naps, given them the energy level that of someone 20 years younger, rid them of their sugar cravings, the list goes on. People have even said that it’s taught them how to cook. We live in a world of convenience where not a lot of thought or preparation needs to go into our nicely packaged food. All of that changes when you are cooking meals solely from whole foods. You’ll feel good knowing you’re feeding yourself and your family meals that aren’t making them sicker. You’re forced to look at labels and realize just how much of our foods come pumped with sugar, sulfites and carrageenan. You’ll start to take notice and become aware of the systemic problems in our food system because of it – and how great you feel when you’re living without it. Many people’s first question is, “Will I lose weight?” Well, maybe. Maybe not. I did, and you can read about my personal experience with my first Whole30 here. 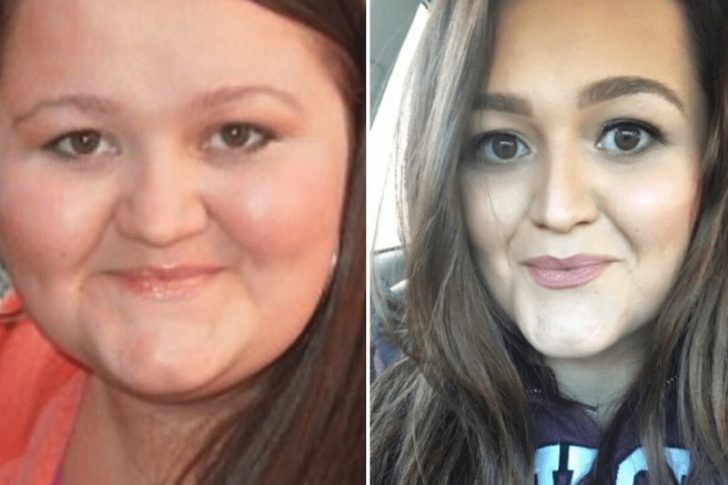 The lessons Whole30 taught me helped me lose over 120 pounds and counting. It’s important to remember that this isn’t a weight loss diet, such as Weight Watchers or Jenny Craig may be. It’s not marketed as such and you’re not even allowed to step on the scale (no, not even once) during your Whole30. 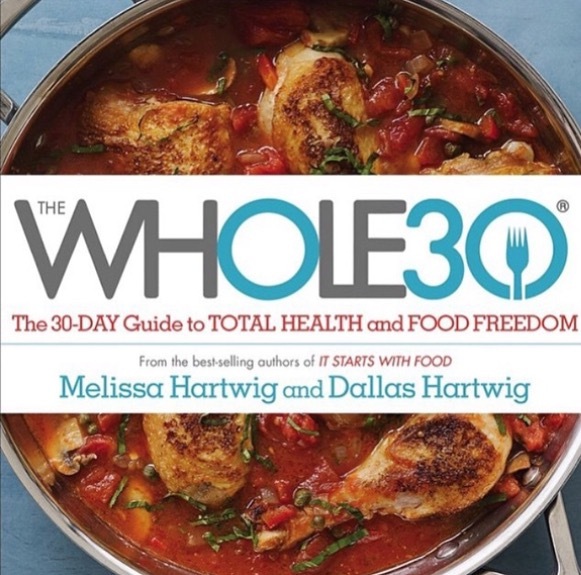 At its core, Whole30, designed by Melissa and Dallas Hartwig, is intended to broaden your self-awareness when it comes to food. Figuring out that grain (yes, even quinoa) makes you sleepy or dairy leaves you bloated and with unwanted acne or sugary foods leave you hungry and cranky an hour later can help you make smarter decisions in the long run. The program is to give you a better understanding of how your body works and first-hand knowledge of what it needs to run as efficiently as possible, helping you feel your best. The lessons you’ll learn regarding food and your body, in my opinion, are lifelong. You won’t be quick to forget how amazing you felt on the program and you won’t be quick to forget how crappy you felt when you ate “_____” during your reintroduction. I say lifelong lessons because part of what makes them sustainable are that there’s no counting, measuring or tracking involved, unlike many other programs out there that attempt to help you be more healthy. It does require more effort than you’ve previously been putting into meals. You’ll need to plan, shop and prepare differently than before. 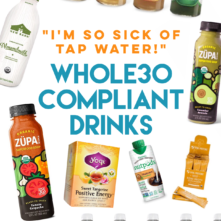 This is a big hang-up most people I talk to have with the Whole30. To that, I want you to honestly ask yourself when was the last time you put the effort into making yourself healthier in a REAL, meaningful way. As Melissa says, it’s only 30 days. You deserve giving yourself the extra time and foresight required to do this and people make time for what they think is a priority. Shouldn’t your health be one? With all of the resources out there, there’s really no reason that can be an excuse. 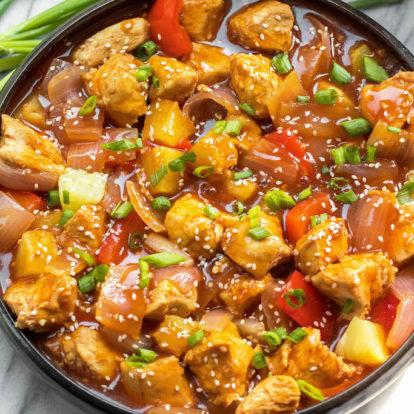 All it takes is a simple google search of “whole30 slow cooker meals”, “whole30 fast food” to see that these 30 days can be done for busy people like you and me. The awesome creators have made doing a Whole30 as accessible as possible by providing all of the necessary information on the website. You don’t need to purchase anything in order to give it a shot. But, if you want further information, tons of recipes, a written outline of the structure, the science behind it, I highly encourage you to pick up one or all of the books that are available. 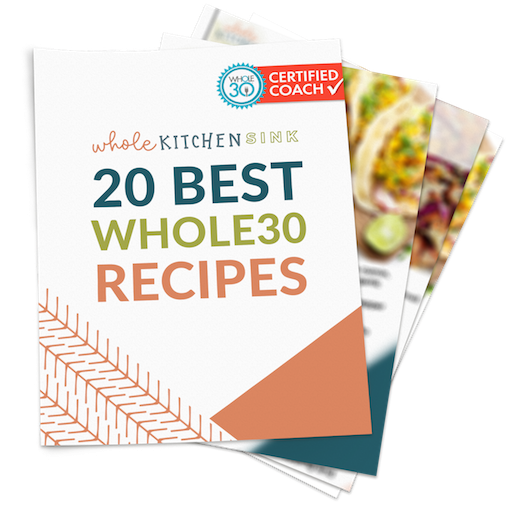 Whole30 – This book will give you everything you need to know about Whole30. It’s the complete 423 page how-to guide packed full with information. It lays out the steps you need to take and the stages you’ll go through on your way to feeling better. 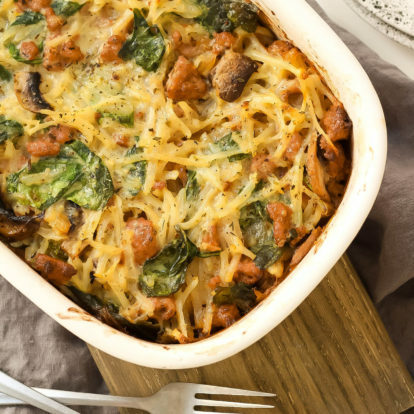 There’s recipes and tons of tips to ease you through the 30 days. This book walks you through the entire process. I guarantee any question you have or any question that will come up is answered here in detail. 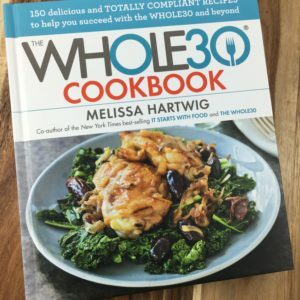 The Whole30 Cookbook – Melissa’s latest installment to make your Whole30 easier or liven it up if you’re on a subsequent round and need some fresh recipes. It includes tons of fresh, new recipes by folks who’ve done a Whole30 themselves and turned it into a lifestyle. 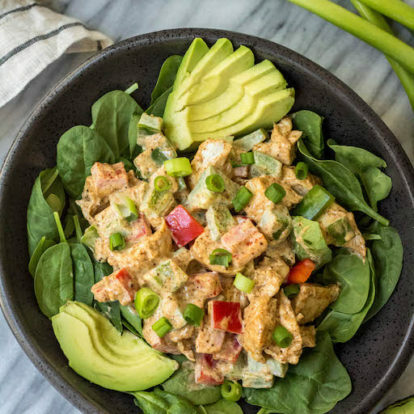 There’s lots of the most inventive recipes by Whole30 bloggers included in the new book that make this cookbook a true community effort. It Starts With Food – This is the book I first started with. I read it first, even before Whole30. This book is the why behind the Whole30 book’s how. It explains, in a reader friendly way, the science behind different types of food – both the good and the bad. 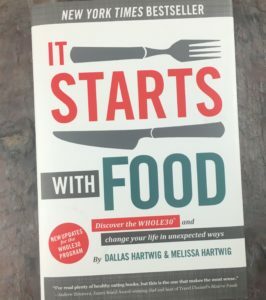 The book really helped me to understand and make the connection between food and what they’re actually doing to me once they enter my body. I still read it every so often as a refresher course and I’ve purchased 3 other copies since I bought my own to give to people in my life. 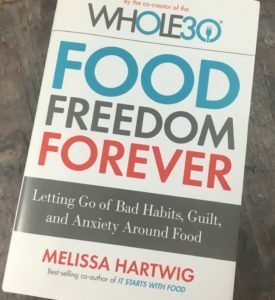 Food Freedom Forever – This is the book you want to read if you’re almost done with your Whole30 and thinking, “Well, what do I do now?”. Melissa talks you through how to take your experience and turn it into a healthy relationship with food that lasts. The latest installment from Hartwig helps to find true food freedom in the real-world, outside of a Whole30. She lays out tools and strategies for how to end the cycle dieting by being in control of your food as opposed to your food controlling you. Overall, if you decide to embark on a Whole30, you’ll end up coming out of it thinking and feeling differently. 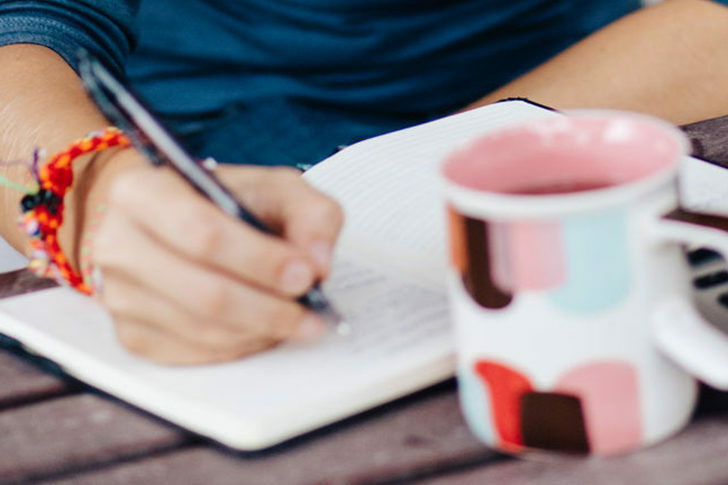 When you do this, you’ll want to focus on the major themes and intent of the Whole30 – focusing on your health not just a number on the scale, reducing your reliance on processed foods and caring about the things you eat based on how they help or harm your body’s ability to run at it’s best. 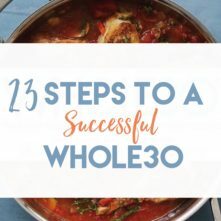 Read about my 23 Steps to a Successful Whole30 to see how you can get the most out of your round! 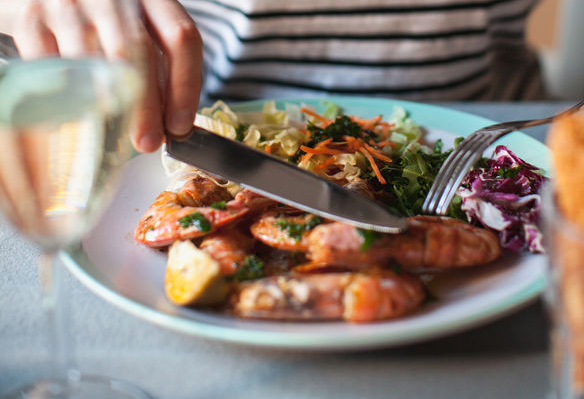 Have you done a Whole30? Let me know in the comments what your experience was like! This post contains affiliate links, though all books are ones I use personally and highly recommend. When you purchase anything using my links, it costs you absolutely nothing extra, but it does give Paleobailey.com a little financial support which helps to keep this blog running. Thank you for your continued support, both with your dollars and your interest. 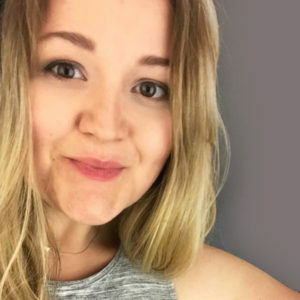 Bailey, I’m SO PSYCHED that you’ve started this blog, Seriously, I have five other posts open in my web browser waiting for me– you’ve answered probably every question I’ve had about doing a Whole30 as a nearly 400lb human. My wife and I handled 28 days of a Whole30 in August/September of 2016, which I know “doesn’t count,” but it’s crazy how much weight I lost and how much better I felt. And then we went to a baseball game and there were hotdogs and beer… Sigh. But the balance is tipped for me, for sure– self-soothing with food doesn’t make me feel better emotionally, and it doesn’t make me feel well physically. At all. Thank you for being so upfront about your experience. It really helps demystify the Whole30 for someone who feels like 100+lb weight loss is impossible without drastic medical intervention.